Rating: 85 percent based on 870 votes. 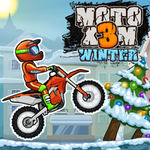 Description: A fun motorcycle racing game. Choose your favorite bike and head to the racetrack. Race your bike against your opponents and try and finish first.